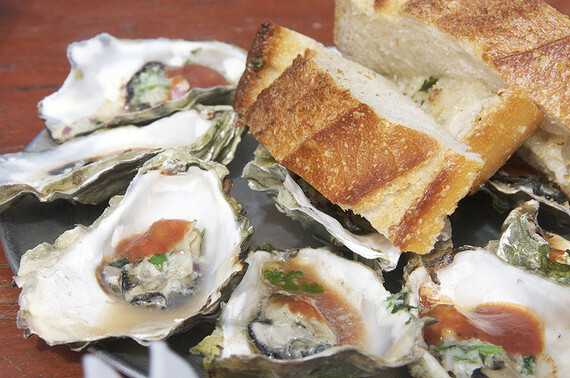 The most famous of the aphrodisiacs, oysters have the "je ne sais quoi" to take your summer gatherings up a notch. These steps are the easiest and the most fun. Slide oyster into your mouth, chew and swallow. Take a sip of wine. Enjoy. Repeat. The most famous of the aphrodisiacs, oysters have the "je ne sais quoi" to take your summer gatherings up a notch. Unsure about how to open them or even buy them? Here's your complete guide to enjoying oysters at home. If you're more of a visual learner, check out this infographic on Oysters 101 and a video on how to shuck and serve oysters. (Photo credit: 24oranges.nl via Flickr). 1. Buy oysters from a local fish monger and ask for 'Select' or 'Choice' grade oysters. 2. Look for oysters that are tightly closed. Avoid oysters that have a soft or spongy shell. 3. Choose oysters that are slightly rounded and evenly shaped, with a deep cup. 4. The oyster should feel full. Tap on the shell, if it sounds hollow, put it back, it's probably dead. 5. A fresh oyster should smell like the ocean. If it smells off, you will know it's not fresh. 6. Plan to buy for three - six oysters per person. 7. Size doesn't matter when it comes to taste. 8. 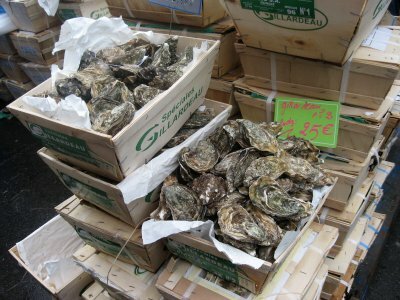 Oyster flavour varies depending on the marine environment in which they are grown. 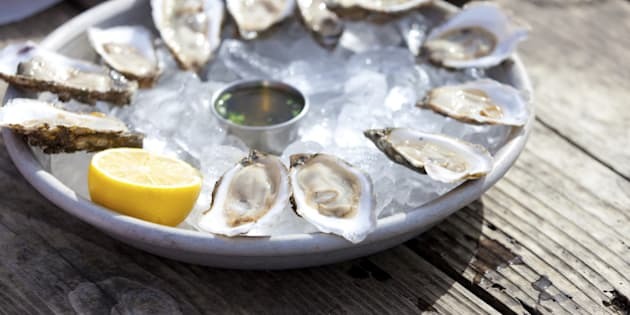 John Belknap, owner of John & Sons Oyster House explains: "Merrior - similar to how terroir affects the complex taste of a specific wine - the flavour of the oyster varies depending on the marine environment in which it is grown." 9. You can get fresh oysters all year long. Depending on the season, weather and availability, you can get fresh oysters from either Canadian coast. 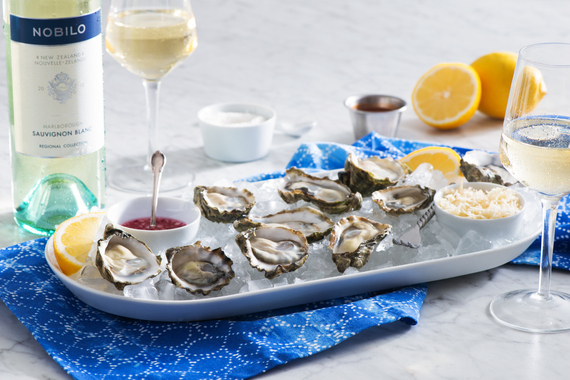 During Canadian summer months, enjoy oysters from the southern hemisphere where it is currently winter, like New Zealand, and the cold waters produce firm plump oysters. 10. When you bring the oysters home, store cup side down in a box or well ventilated basket in the refrigerator until ready to shuck and serve. (Photo credit: Erin Kohlenberg via Flickr). Quick tip: Shuck just before serving. No more than an hour before consumption, preferably when your guests arrive - it is a great conversation starter. 1. 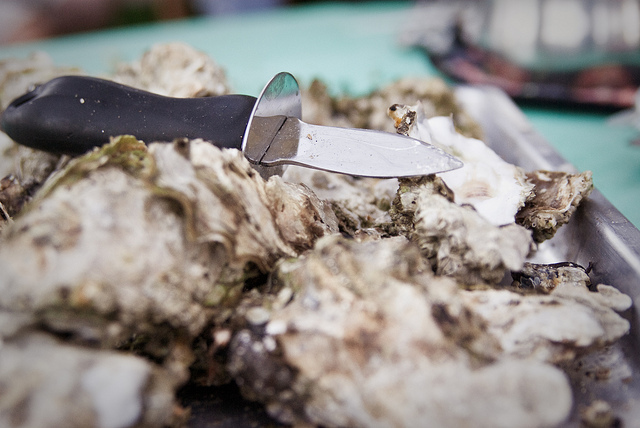 Items you need: Clean dish towel and oyster knife - Ensure you use a proper tool for shucking. An oyster knife costs about $8 -10. 2. The flat part of the oyster is the lid and the rounded/deeper part is the cup - which holds the oyster and the briny liquid. The pointed end is the hinge. Lay the cup side down onto a dish towel and use the towel to securely hold the oyster down, with the hinge facing out. 3. Insert the oyster knife through the hinge with the knife angled down. Twist the knife until you feel the hinge release. 4. Then cut the two muscles by scraping the knife along the top of the shell to release the top muscle, then do the same to the bottom muscle. A quick hand motion down is best to release the bottom muscle without damaging the oyster meat. 5. Check for any grit or shell fragments that may have fallen in and be careful not to spill any liquid. (Photo credit: Daniel Burka via Flickr). 1. Serve oysters on crushed ice or rock salt. 2. Serve with fresh lemon wedges and freshly grated horseradish, your favourite spicy cocktail sauce or a simple mignonette sauce. 3. Serve with a Marlborough Sauvignon Blanc such as Nobilo. The crisp citrusy flavours of the wine are a great pairing for the salty minerality of the oysters. (Photo credit: Nobilo. Used with permission). These steps are the easiest and the most fun. Slide oyster into your mouth, chew and swallow. Take a sip of wine. Enjoy. Repeat. How confident are you in your oyster shucking skills? Join the conversation on Facebook at 80 Twenty Nutrition! Disclosure: Christy collaborated with Nobilo Wines in writing this article. All opinions are 100 per cent Christy's own.